The debate over how the American flag should be treated when it comes to freedom of speech and expression-both in recent days and over the years-is a question of law that brings out the highest passions on both sides of the issue. Just last week, our new President-elect Donald Trump reignited the age-old debate with a tweet suggesting that that burning a United States flag should carry extreme penalties. He went so far as to suggest that it should cost a year of jail time—which would make the act a felony—or even lead to the individual who burned the flag being stripped of citizenship. While these recommendations are likely some of the most extreme suggestions to come from a politician, their very extremity stems from the undercurrent of anger surrounding the act of flag burning—whether against the government or against the very people who burn the flag. There are many who consider the act of burning the flag the ultimate act of protest against the acts of the government that represents the ideals of that flag. At the same time, there are plenty of people who view the flag as a symbol of the United States and burning it an attack on the country itself. Regardless of belief, however, it is a legal fact that the act of burning a flag is constitutionally protected first amendment expression—symbolic speech. The Supreme Court has ruled as much not once, but twice, in the cases of Texas v. Johnson and U.S. v. Eichman. Texas v. Johnson dealt with the acts of Gregory Lee Johnson. At a protest outside the 1984 Republican National Convention, Johnson burned an American flag stolen by another from a nearby flagpole. The act drew international media coverage, although nobody was actually injured. The case went from there all the way to the Supreme Court of the United States, presenting the first case ever before them where they needed to decide whether a non-speech act such a burning the flag was protected by the First Amendment. In 1989, the Court ruled that while an act is not always protected simply by its intent to communicate a message, an act is protected where the is both 1) and intent to convey a particular message through an act and 2) whether the message was understood by the majority of those who viewed the act. They decided that Johnson’s act of burning the flag sent a clear message that was easily understood, and thus deserved First Amendment protection. They also decided that, while speech can be outside the protection of the First Amendment where it incites others to immediate acts of violence, this was not the case here. This decision had an enormous impact on the laws of the United States—making flag burning statutes in forty-eight different states unconstitutional. The response to the ruling in Texas v. Johnson was swift. In the same year of the ruling, Congress passed the Flag Protection Act. This act made it a federal crime to burn or desecrate the flag of the United States. 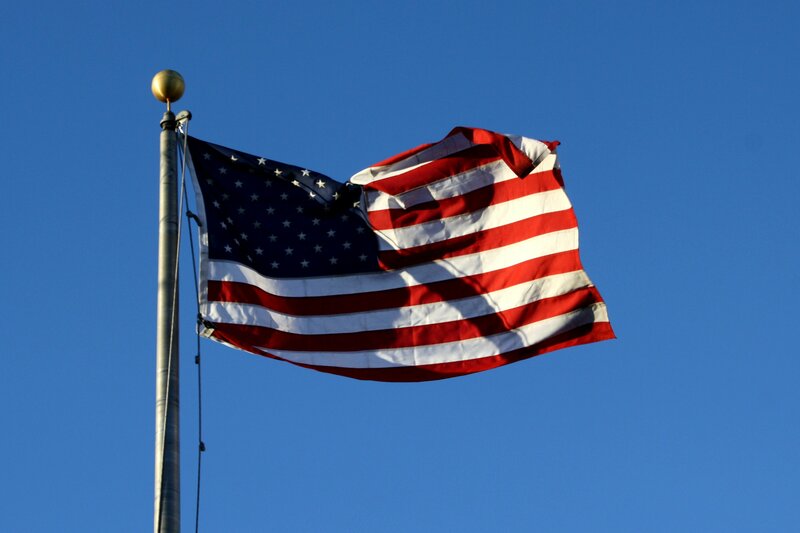 The very next year, in 1990, the Flag Protection Act was before the Supreme Court in the case of U.S. v. Eichman. In two different states, flag burning at protests by the anti-war group the Vietnam Veterans Against the War Anti-Imperialist led to charges against protesters. In both cases, the charges against the protesters were dismissed followed by an appeal to the Supreme Court challenging the constitutionality of the Flag Protection Act. These two cases were combined and became U.S. v. Eichman. This time, the Supreme Court was crystal clear. It outright ruled that any statute that barred desecrating the flag, state or federal, was unconstitutional. The decision argued that, while some may be incredibly offended by the act of burning a flag, the government may not prohibit speech simply because society finds it offensive. What’s more, the government certainly may not ban speech with the intent of suppressing the ideas behind that speech. Despite these rulings, there has been no shortage of attempts to introduce a constitutional amendment to make the desecration of the American Flag illegal. Since 1991, there have been 41 different proposals for such a constitutional amendment. Some of the votes on these proposals have been extremely close, in 2006 a proposal for a constitutional amendment failed by only a single vote. There are also, despite the unconstitutionality of statutes barring flag burning, situations where burning a flag can be illegal. For instance, if there is another crime involved—for instance if somebody besides the one doing the burning was the owner the of the burned flag—the person burning the flag can still be charged with that crime. What’s more, where a statute is neutral as to the content of speech—instead regulating the time, place, or manner of speech, it is constitutional. Thus, a statute making it illegal to burn anything outside of a fire pit in a National Park could be constitutional but still make it illegal to burn a flag while in the National Park—unless you did it in a fire pit. Flag burning is, and likely will always be, a topic distinguished by the extremely high passions on both sides of the issue. However, barring a constitutional amendment, any law making it a crime to burn the flag—never mind the unheard-of punishment of stripping a person citizenship—will be patently unconstitutional. The act of burning a flag communicates a deep discontent with the U.S. government and what the flag represents. This can be offensive to some. However, it is because it communicates such a clear, controversial, political message that the act receives the protection it does. No matter the form it takes, do we really want the government to have the power to censor speech criticizing it?